In this third workshop of December, we will invite students to share their experiences of applying meditation, as it was presented in the previous workshop. “The method of the fourth way consists in doing something in one room and simultaneously doing something corresponding to it in the two other rooms,” says George Gurdjieff in In Search of the Miraculous. 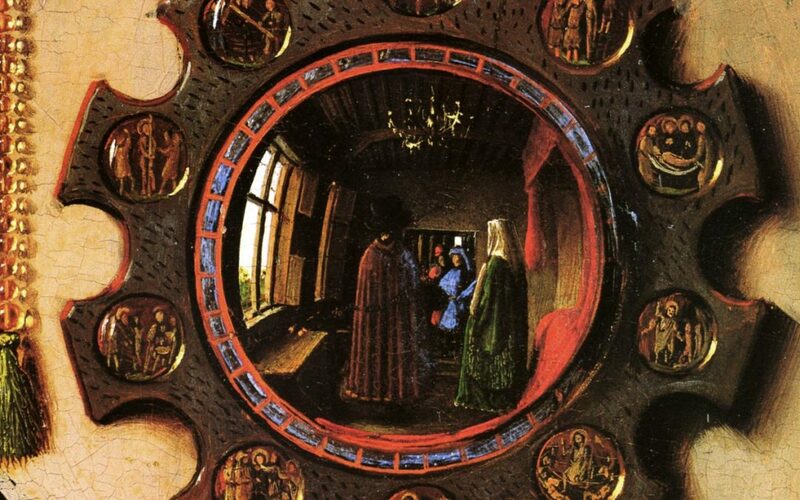 We will explore how Jan van Eyck portrays this process in his painting, The Arnolfini Couple.